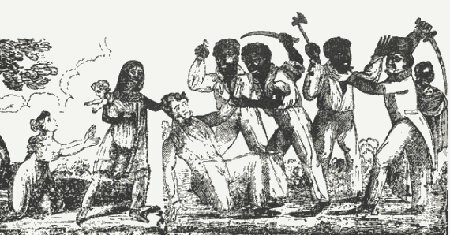 On this date in 1796, insurrectionary Jose Leonardo Chirino was hanged in Caracas for leading a slave revolt in Spain’s oppressive New World sugar plantations. Nearly all the information readily available online about Chirino is in Spanish, and all the links in this post are to Spanish pages. The influence of the Haitian Revolution, and the philosophical precepts of the French Revolution that had helped spawn it, sent waves through the Caribbean washing up on every shore it touched. Most of those lands had a ready audience under the lash of European colonial masters; the eastern Venezuelan city of Coro, home to the sugar aristocracy and the groaning underclass that crop implied, must have had one of the readiest. 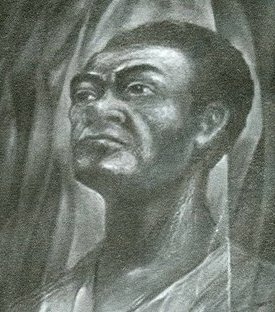 On May 10, 1795, Chirino — a Zambo of mixed African and Amerindian blood who was himself a free farmer — led an uprising of the Congolese slaves in the area who worked the sugarcane and declared a Republic under the “Law of the French,” with slavery and white privilege abolished. Of course, Chirino was on the right side of history. The city square in Caracas where Chirino hung is now Plaza Bolivar, named for Latin America’s eponymous liberator. Coro itself is today served by Jose Leonardo Chirino airport, and for the African diaspora in Venezuela, Chirino is a special inspiration. Like any worthwhile symbol, he’s also contested territory — claimed as a forerunner (if a questionable one) of socialism by the “Bolivarian Republic” now governed by Hugo Chavez.